With reference to a news report "Maha govt constitutes board for welfare of construction workers" issued by PTI dated 10th May, 2011, this is to draw your attention towards the "Research (that) has found that needle-like crystals permanently penetrate the lung tissue when dust-sized particles of asbestos are inhaled. The crystals can eventually cause scarring of the lungs, called asbestosis, and can cause cancer of the lining of the lung, called mesothelioma. Both diseases are incurable and terminal." industrial sectors in Maharashtra, to promote the effective regulation of work with in -situ asbestos in demolition, conversion, renovation and maintenance works by law, to work for the elimination of diseases caused by asbestos and to promote social justice for those affected by asbestos. international scientific community; 90% of all asbestos produced is chrysotile and 90% of chrysotile asbestos is used in asbestos cement materials. 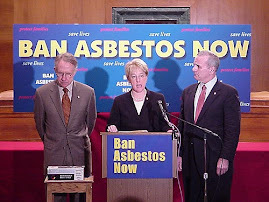 It has taken three decades of efforts and the emergence of suitable alternatives for a comprehensive ban on the manufacture and use of asbestos and asbestos containing products to be adopted in more than forty countries. I submit that while ban on asbestos is a must, safe removal of asbestos from buildings and other places would be long drawn and arduous process besides the compensation and rehabilitation of asbestos victims. 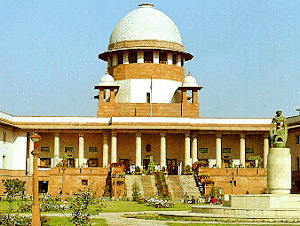 In such a backdrop, I submit that in an order dated January 21, 2011, Hon’ble Supreme Court’s bench of Chief Justice of India Justice S.H. Kapadia, Justice K.S. Panicker Radhakrishnan and Justice Swatanter Kumar has observed in para 15, “the Government has already presented the Bill in Rajya Sabha. The statement of objects and reasons of this Bill specifically notices that the white asbestos is highly carcinogenic and it has been so reported by the World Health Organisation. In India, it is imported without any restriction while even its domestic use is not preferred by the exporting countries.” It is noteworthy that once a Bill is introduced in Rajya Sabha, it never lapses. I wish to draw your attention towards the New Delhi Declaration Seeking Elimination of cancer causing all forms of asbestos including Chrysotile from India which was adopted and endorsed by eminent scientists and doctors on 24th March, 2011. This happened at a Round Table which was organized immediately after the conclusion of International Conference on "Emerging Trends in Preventing Occupational Respiratory Diseases and Cancers in Workplace" at Maulana Azad Medical College that expressed grave concern about asbestos related diseases like lung cancer in the national capital. The Declaration is given below for your perusal and immediate consideration. The delegates at the Round Table discussed the asbestos policy of Maharashtra. These delegates shared their views and gave their valuable hand written notes so that it can be used in a credible way while strongly recommending the need for immediate ban on asbestos to Government of India, State Governments and the relevant ministries. I submit that Professor Elihu D Richter MD MPH, Hebrew University-Hadassah School of Medicine, Israel said, “All form of asbestos kill. India should bury asbestos, not people. Here is a case for examining whether those countries which export asbestos to India are committing a crime against humanity, because they are engaging in willful neglect. India should not repeat the mistakes of going back some 70 years which will kill tens of thousands of workers and their families.” Richter too was in New Delhi in March 2011. 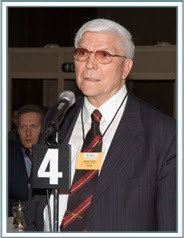 I submit that Collegium Ramazzini, a Italy based independent, international academy founded in 1982 by Irving J. Selikoff, Cesare Maltoni and other eminent scientists has called for the elimination asbestos of all kinds. Presenting her views, Prof (Dr) Qamar Rahman, fellow of National Academy of Sciences, Dean, Integral University, Lucknow & former Deputy Director, Industrial Toxicology Research Centre, Lucknow asserted, “This is high time that Government of India should ban the use of asbestos in India. 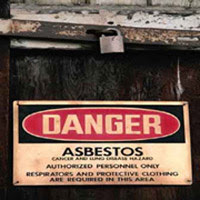 It has been proven scientifically that asbestos based articles such as roof ceilings, storage tanks will release fibers. 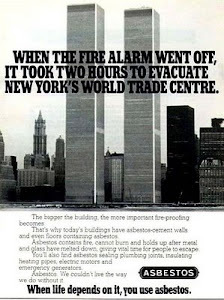 The asbestos fibers will be the cause of exposure to our coming generations.” This merits your immediate attention. We appeal to the Government of India to put a ban on export, import, manufacturing, use and mining of all forms of asbestos including chrysotile (white) in India. We call upon the Government of India, State Governments in general and Bihar Government in Particular besides Indian Ministry of Health, Ministry of Environment, Ministry of Commerce, Ministry of Labour, Ministry of Consumer Affairs and Ministry of Mines to initiate steps for an immediate ban on use, manufacture and trade of all forms of asbestos (including Chrysotile or White Asbestos). Maharashtra government has constituted a welfare board to utilise funds, collected by levying one per cent cess on construction activity of over Rs 10 lakh, for implementation of welfare schemes for construction workers. Labour Minister Hasan Mushrif told reporters here today that as per the Building and Other Construction Workers (regulation of employment and conditions of service) Act 1996 of the Central government, a tripartite welfare board, headed by Labour Commissioner, has been constituted on May 1 this year. "So far, Rs 141 crore cess has been deposited in the account of the board till now. It is expected that approximately Rs 1,000 crore will be collected annually. With this fund, various welfare schemes like provident fund, health insurance, pension, gratuity as well as other benefits as decided by the board will be given to the construction workers," the minister informed. To support the board in implementation of these welfare schemes, one per cent cess on the cost of construction excluding the land value wilhttp://www.blogger.com/img/blank.gifl be deposited in the account of the board. The amount will have to be deposited at the time of granting of occupation certificate or completion certificate. He said the state government''s GR on levying one per cent cess and constituting the board, along with detailed guidelines regarding registration of construction workers was issued on July 2010. Mushrif said any worker involved in the construction of buildings, bridges, roads, who is aged between 18-60 years and who has worked for at least 90 days in the last 12 months will be eligible for registration. This is reported by PTI in its release dated 10th May, 2011.